These best site, where you can promote your business via guest post. 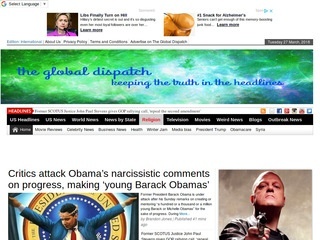 The Global Dispatch covers all the latest articles. You can send me your articles or if you wish I can write articles and will get publish with dofollow link. If you write, then please keep in mind that the article must look natural, so that it attract more social media presence. Generally we publish more that 5 to 10 articles at The Global Dispatch. This blog cover all topics, like, technology, business, SEO, home health, news, sports, etc. But will not accept any article related to adults, Casino, gambling, pornographic, betting.